Ozan is a serial entrepreneur and investor with over 25 years of international experience within the angel investment, venture capital and private equity sectors. Based out of Silicon Valley during the first dotcom boom in the 1990s, Ozan worked closely with Fortune 1000 companies in San Francisco, Los Angeles, Seattle, New York, Toronto, Hamburg, Stockholm, London and Istanbul. Ozan later acted as general partner in various angel investment and private equity practices. He is currently the president of Keiretsu Forum Canada, the world’s largest angel investment network operating on four continents. The global network specializes in syndication of deals and invested over $73 million USD into 148 early stage companies in 2017 alone. Ozan also holds a partner position at GITA Fund, a $250 million USD venture capital fund as well as in Trendwell Ventures Inc., a Toronto-based boutique M&A practice. 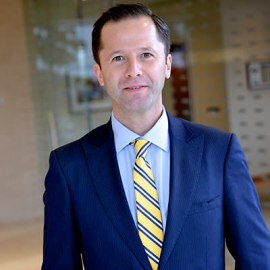 He actively participates in portfolio investment decisions and helps technology enabled companies scale through hands-on management toward exit transactions.Ozan received his MBA in finance from the University of San Francisco – McLaren School of Business and holds a double major in economics and political science from the University of Western Ontario.